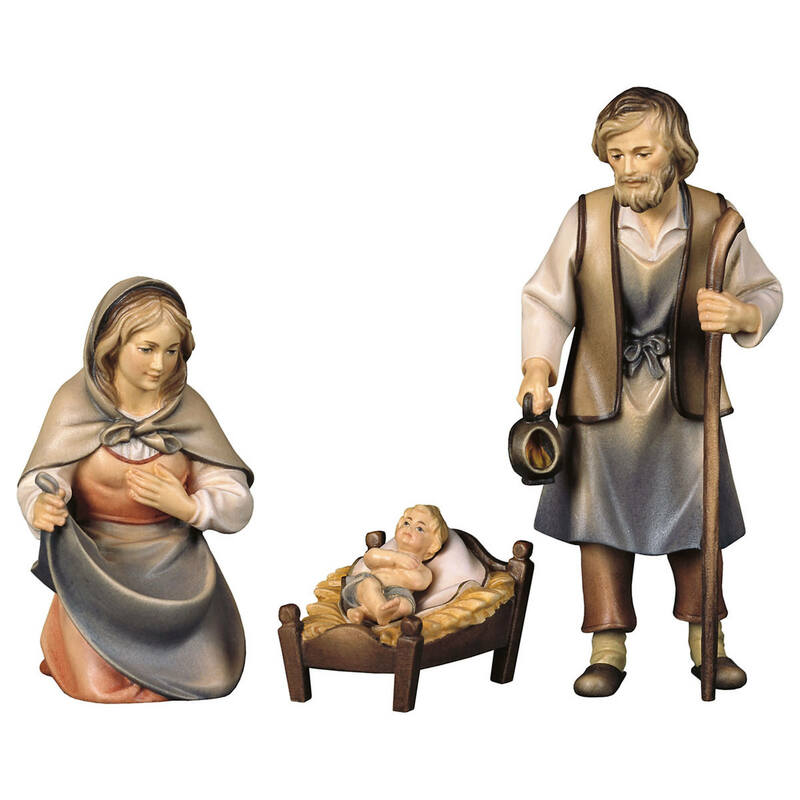 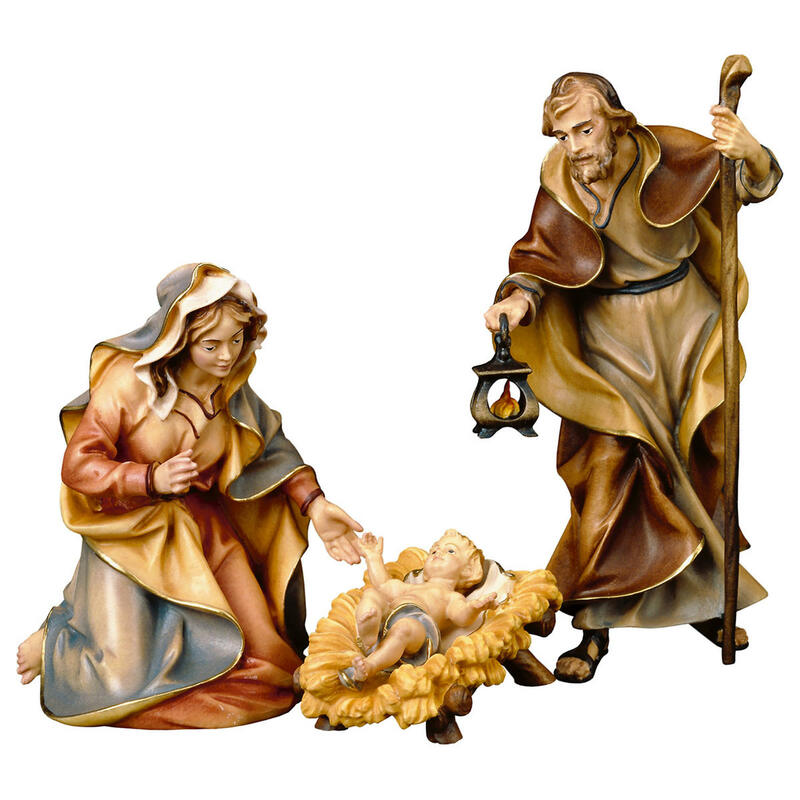 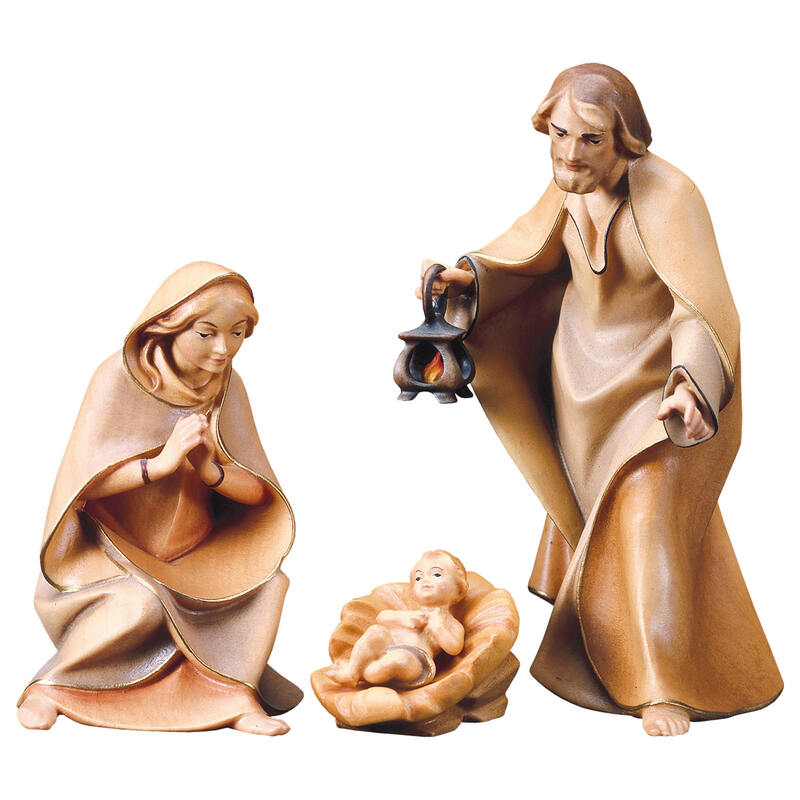 This crib figurine belongs to the Farmer Nativity Scene Set made by Bernardi Woodart. 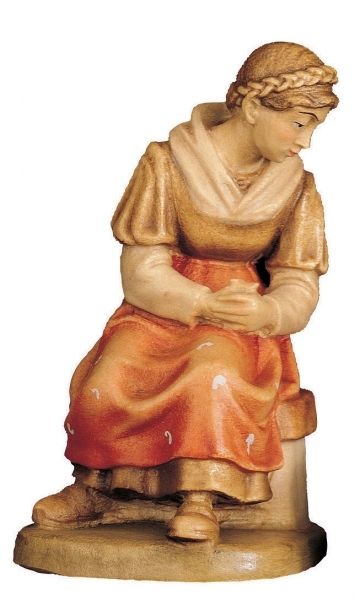 Particularly the multicolor figurines which are handpainted with oil technique are outstanding. 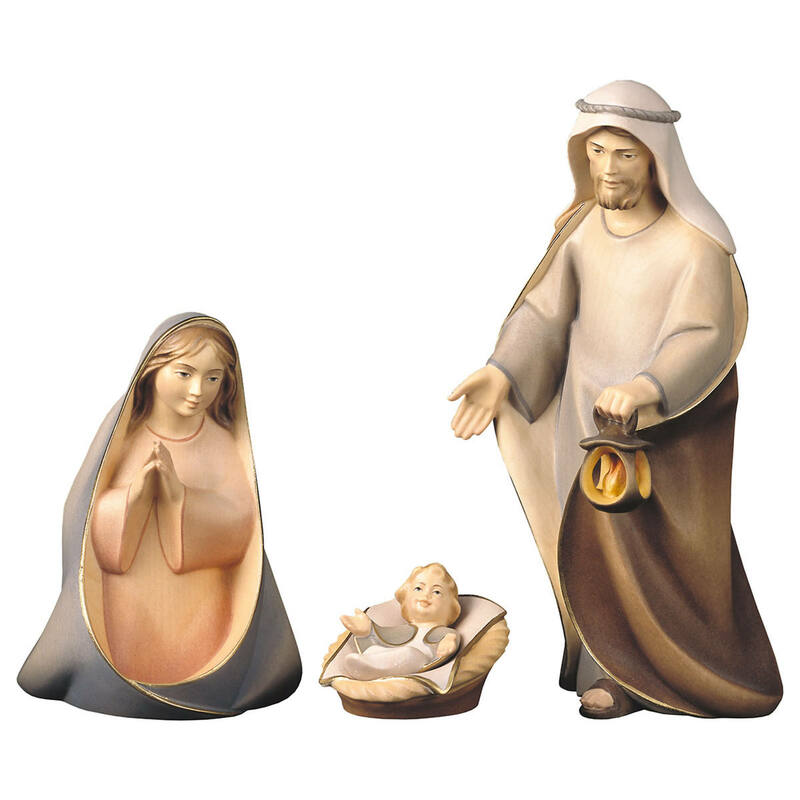 In Val Gardena valley, in the heart of the Alps, surrounded by 3000 meter (10000 ft) high mountains these wonderul handmade figurines are crafted.